Today we get to have a chat with fellow "Wild Child" Laura Sheeran, musician and artist, and one-half of the incredible band Nanu Nanu. 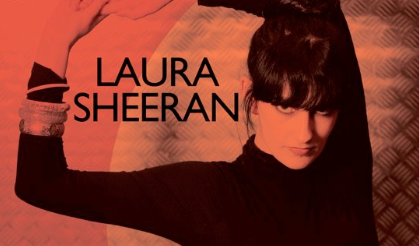 Laura plays the mysterious character "Glitterface" on stage, and her amazing sound coupled with her entertaining on-stage presence makes Nanu Nanu a rising star on the Irish music scene. OCCUPATION: Musician/Performer with NANU NANUFAVOURITE FOOD/MEAL: Anything with LOADS of garlic in it! FAVOURITE PERK OF MY JOB: Getting to go wild and be super creative with elaborate costume ideas and being able to dress up for every gig! MY PROUDEST MOMENT TO DATE: When NANU NANU did our first gig, we were put on as the headline act (having never played before!) for a 'Ones To Watch In 2012" festival in Dublin and we played to a full house who danced and jumped and shouted - the atmosphere was amazing and the crowd were totally on fire, we'll always remember that as the best first gig ever! LAST DREAM I HAD: You seriously don't wanna know! MY GUILTY PLEASURE: I LOVE Home & Away, always have, always will. CURRENTLY LUSTING AFTER: The Moog Theremin they are stocking in Music Maker at the moment... covet, covet, covet! DREAM HOLIDAY/TRIP: Oh my god, ANY holiday or trip.. I haven't been on a holiday since 2009. WHERE I'LL BE IN 5 YEARS TIME: Touring the world with NANU NANU, of course! IF I WAS AN ANIMAL I'D BE: does an Alien count? I'd be an alien, in fact, I think I am and alien. MY CELEBRITY CRUSH (DEAD OR ALIVE!) : Beyonce, without a doubt. MY CURRENT DREAM/GOAL: To get to gig in The States. I've never been outside of Europe. ADVICE TO MY 16 YEAR-OLD SELF: 'Don't bleach your hair AGAIN! It will all fall out, you'll have to cut it up short and it will start going grey, by the time you're 25, you'll be half grey!' TRUTH. WHO/WHAT INSPIRES ME: People who work hard and achieve their goals, but also enjoy themselves and don't let stress get the better of them. I am inspired by people who aren't afraid to do their own thing and are true to themselves. I know it sounds corny.. but not enough people really follow their dreams.. we only have one shot at this, live the live YOU want live, not the life society says you should.